This beer represents an evolution toward local. The original recipe was an Irish Red but it became more complex and balanced when it became much more local. We experimented with this brew many times prior to releasing it commercially - it was always tasty but we wanted a local flavour to to get it right. We reached our goal with the introduction of local certified organic hops from Tim and Melanie of the Carolinian Hop Yard. The great aromas of Cascade and Chinook hops from Norfolk County were the inspiration for the name; they balance the rich body and flavour of the malts, pulling the beer toward the hoppy side of things and adding an incredible dynamic that makes this a truly local beer. 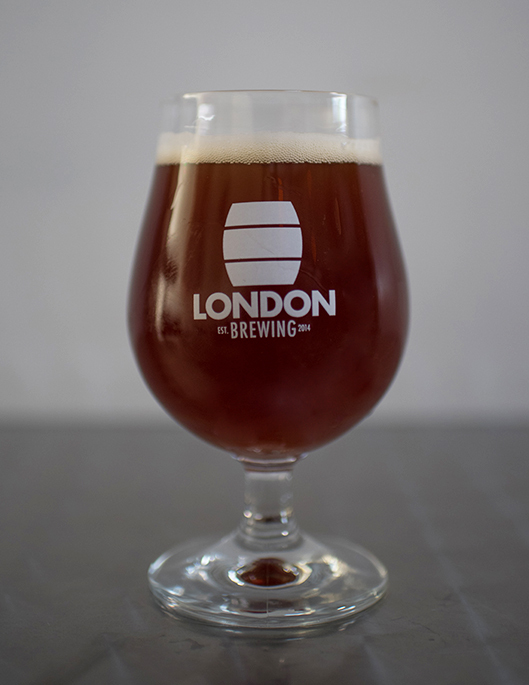 In the style of American Red IPA, but at the lower end of IBUs, the piney and dark fruit cake hop aromas and flavours provide a nice contrast to the malt and caramel flavours.